I would like to receive caller ID using a Raspberry Pi. I started off trying to use a winModem which failed epically. I then purchased a Trendnet TFM-56U1 which has also failed. The TFM-56U1 modem works fine in all regards except for receiving caller id. The first one I had would only report caller id about 1 time in 10. I returned it and the second won’t report caller id at all. After contacting Trendnet, their response is this modem will not support caller id (even though it obviously did at one time based on all the people using it specifically to obtain caller id). The US Robotics model 5637 modem purportedly supports both Linux and caller ID, but at $40+, it is really too expensive for my testing since in the long run it won’t be my final solution anyway. Which I purchased from here for $30. Yes, it is not much less than the USR modem, but I’m thinking the HT9032 chip it is using may well be in my final design. Now connect the USB cable to your PC. 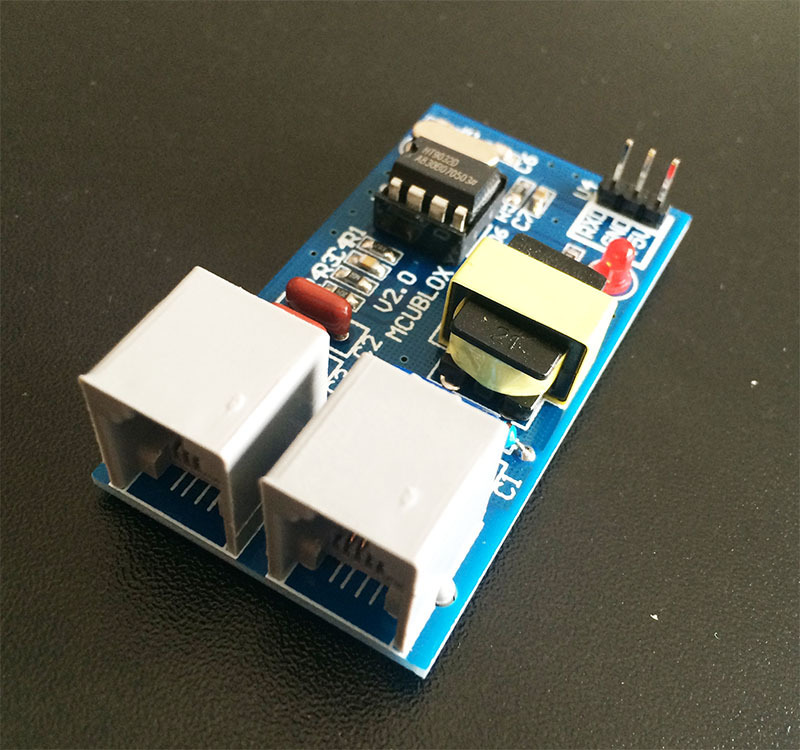 It should find the drivers w/o much trouble if you used any FTDI device in the past. If not, you will have to locate the drivers. Once you connect to the CID board, garbage is going to start printing. That is OK. Well, appears to be normal anyway. According to the data sheet, the output line is held high when there is no data. That seems to translate to garbage being transmitted. My terminal emulator displays control characters, so I can see *everything* being transmitted. For example NU = null or 0x00. When call data is about to be presented, the CID board will transmit alternating 010101… for 300 bits. Those 01’s become a string of ‘U’s. The CID board then transmits 180 1’s. For the serial port, this may end up as one or more random characters. 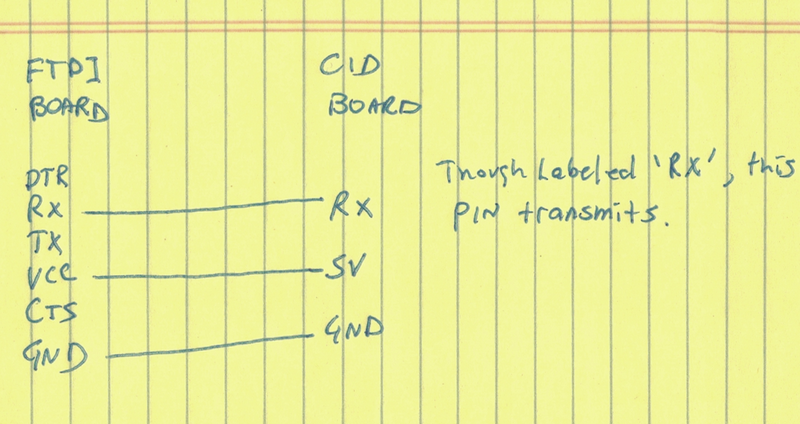 When the CID board outputs a 0x80, that is the beginning of the actual data. After this packet data, the CID board will begin transmitting garbage again. This entry was posted in c-electronics and tagged linksprite caller id. Bookmark the permalink. I’m also interested in getting caller id info on a Raspberry PI. Actually I want to go father and make an answering machine. Do you think the LinkSprite Caller ID Module can also pass the voice through to be captured as binary data? Unfortunately it is designed to provide only CID. I am having the same issue as I’m going to want to be able to access the actual call as well to listen to DTMF signals. Finding someone that will sell it to you is more of a trick. The nice folks at http://www.verical.com pointed me to http://parts.arrow.com/item/detail/ixys/cyg2020#RnpE where I was actually able to purchase a couple. I still haven’t tried to use this chip. Summer brings a lot of other activities! Thanks for the reply. The Clare CYG2020 sounds good. I may buy one and see what I can do with it but wiring up chips like this will be a new experience for me. So if you make any progress, please let me know. Writing the code to control things is where I know what I’m doing. I will probably use Squeak Smalltalk. Hey, would you mind taking a couple of pictures from the top and bottom of the board so that I can replicate it? The guys at linksprite don’t sell them anymore, so If I’d have a couple of pictures of the pcb I could give it a go. Regards.